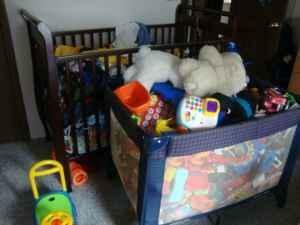 Crib/Toddler bed, playpen, pampers, clothes, high chair, toys, 2 seated stroller, and more. 757-809-XXXX. Asking $100.